A photographer based in Geelong, Australia, Lynden has been capturing images since last century and switched to digital photography in 2004. Since then Photoshop has become as important to him as his beloved Canon camera, and while he has mastered both, he says that nobody can ever fully conquer Photoshop! Setting himself an initial goal of publishing 365 photos in 365 days on his webpage and various social media sites, Lynden has continued to share a daily image. He says that the discipline of crafting an image every day has dramatically improved the photographs he produces, while reaching 33,000 followers on Google Plus was all the endorsement he needed that his work was being appreciated. 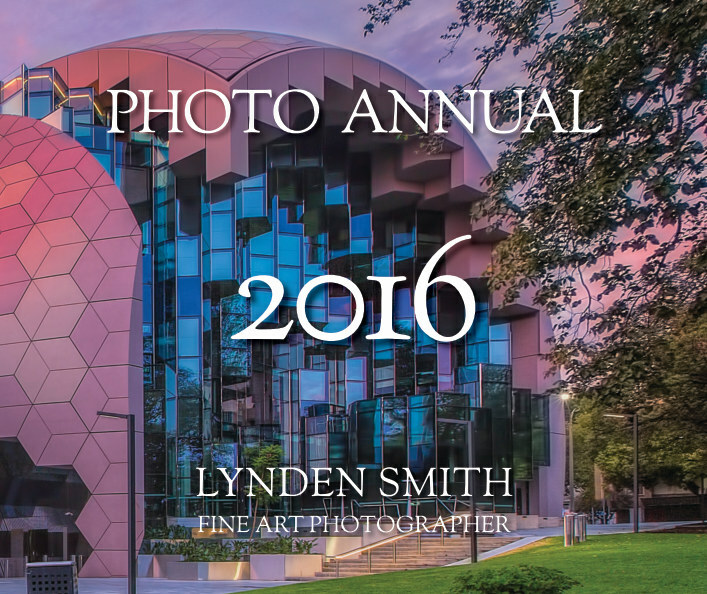 This book contains the top 100 images from the year. A photographer based in Geelong, Australia, Lynden has been capturing images since last century and switched to digital photography in 2004. Since then Photoshop has become as important to him as his beloved Canon camera, and while he has mastered both, he says that nobody can ever fully conquer Photoshop! Setting himself an initial goal of publishing 365 photos in 365 days on his webpage and various social media sites, Lynden has continued to share a daily image. He says that the discipline of crafting an image every day has dramatically improved the photographs he produces, while reaching 33,000 followers on Google Plus was all the endorsement he needed that his work was being appreciated. You can find Lynden’s daily photo at www.LyndenSmith.com and also on Google+, Facebook, Twitter and Instagram.